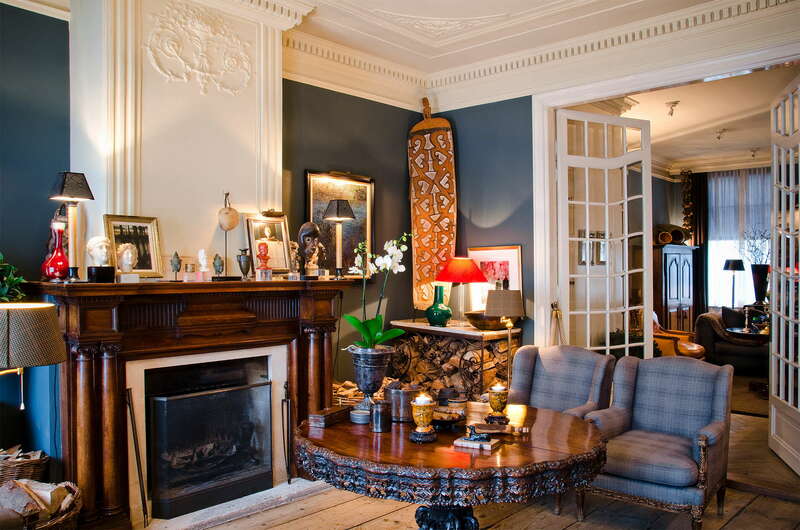 So many hotels promise “a home away from home” but this chic 19th-century canal house, which once belonged to a wealthy sugar trader, nails it. With its prime World Heritage Site location, focus on personal attention and perfectly styled interior, it’s easy to understand why Hotel Seven one Seven was chosen as Gault & Millau’s “Hotel of the Year 2017”. Most rooms overlook the patio, so if it’s canal views you’re after, book one of the two Executive Suites, which both offer fabulous vistas of Prinsengracht through five large windows. Your key (yes, a proper, old-fashioned one!) unlocks one of nine generously-sized rooms or suites inspired by famous writers, composers and artists. 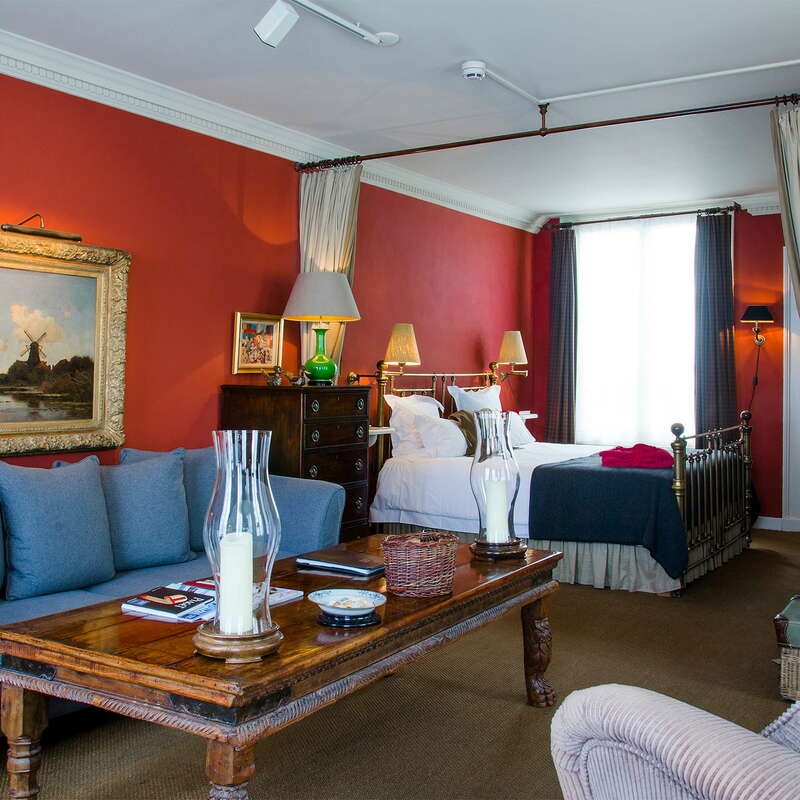 Rooms are individually decorated with a carefully considered mix of antiques, African art and textiles typically used in gentlemen’s tailoring, such as tweed, tartan and pinstripe. Complimentary mini-bars are stocked with soft drinks, water and beer and you’ll find a Nespresso coffee makers hidden in the closet. YOU SHOULD KNOW Hotel Seven one Seven has no elevator. Guests staying on the top floors will have to huff and puff up an elegant oak staircase. With small showers and bath tubs that show some wear, the bathrooms could do with an update, but there are lovely Chopard bath products and you get an adorable blue rubber duck to take home with you. Don't you forget to take home that rubber duck. Don't you dare forget--it's cute. You’ll be welcomed with complimentary coffee and cookies in a lavender-scented front room with comfy couches and an elegant open hearth. Adjacent, there’s a handsome library with canal views, which doubles as a meeting room. There’s no on-site restaurant, but limited room-service is available 24/7 and breakfast is served in the former sugar mill at the back, or on the patio, weather permitting. The breakfast menu includes all the typical Continental options, as well as Dutch pancakes, smoothies, and eggs made to order. There is no bar, but guests can enjoy a drink and small bite in the library, salon, or patio. 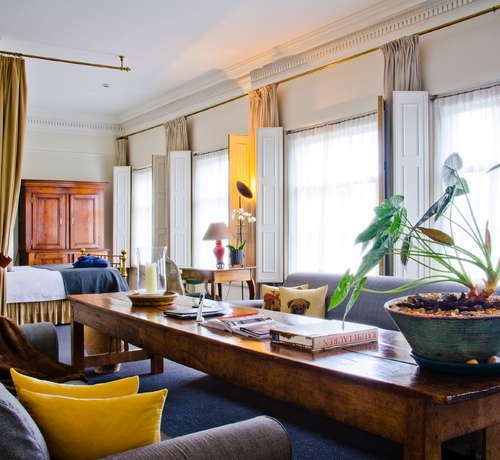 Located centrally in Amsterdam’s 17th century canal belt, this hotel offers good access to all the main tourist attractions on foot. Nearby construction activities will make automobile access a little trickier until August 2017, but why bring a car anyway? Access via trams 1, 2 and 5 (1-minute walk) stays unchanged. The French Connection (6-minute walk) offers a lighter take on Gallic cuisine in an atmospheric Golden Age landmark. Or, go Dutch--at least as far as cuisine type is concerned--at Lt. Cornelis (8-minute walk). Sustainable seafood specialist, The Seafood Bar (9-minute walk), has smoked fish from Volendam, delicately-battered fish and chips, four varieties of oyster and platters of fruits de mer. Bar Oldenhof (9-minute walk) in the nearby Jordaan offers a wide range of whiskeys and reasonably-priced cocktails (by Amsterdam standards, that is) in a bar with a nouveau gentlemen's club vibe. Or, if you’re looking for casual beers and the cozy atmosphere of a typical Dutch “brown café,” there’s Café De Doffer (7-minute walk). Hotel Seven one Seven was Amsterdam’s first luxury boutique hotel when it opened in the nineties, and continues to set the standard against which other Amsterdam properties are measured. 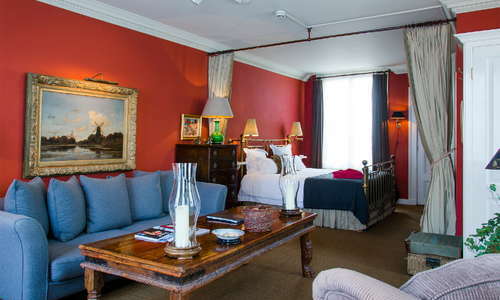 It remains a cozy hideaway for romantics looking for a one-way trip to the Golden Age.